Cloud Computing is spreading in the economy and can be boon to your business if you use in the right way. Many businesses are adopting cloud telephony and about 50% of business decision makers say that cloud lets them be agiler in their business. Cloud Computing lets their business meet the ups and down business needs. Cloud telephony plays an important role in building business needs and demands emerging business trends for business and startups. When you have a business that easily connects to all your customers and users that are using your product, it becomes easy for you to connect to the world. I want to throw some light on ‘The Hartford’ Company and how Cloud Telephony helped them grow! The Hartford is a very established company of United States based on investment and insurance and is a part of the Fortune 500 list. The company is transforming its IT services it delivers by implementing a new infrastructure that includes a private cloud. The company focuses on growing its group benefits, mutual funds, property, and casualty business. The cloud computing helps business to foster the productivity of business and bring technology to market faster. 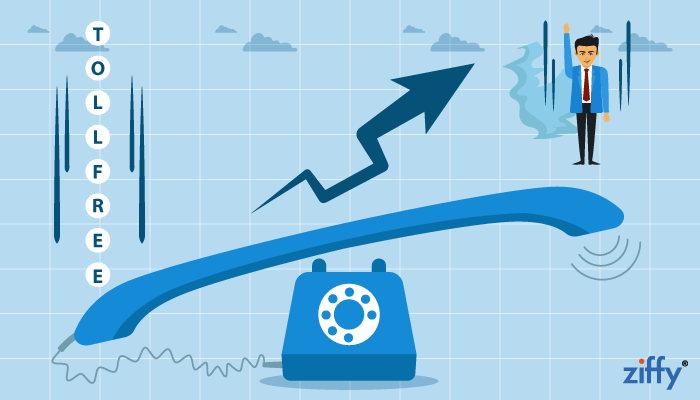 Cloud telephony has made various business recover their losses and it definitely acts as an asset to the business. Below are 5 ways which you can also leverage this technology. Your customers are the core of your business. They just want that they should be treated well and so do the cloud telephony helps in making this true. They come from multiple locations and whenever they make a call they need proper assistance with full support, what this cloud telephony makes it possible for you. Your executive might be busy sometimes and not able to attend the call which makes the customer feel dissatisfied and they may not like your support facility. If you make them assure that you are always there, then surely it will help you in recovering them back. When you are dealing your customers on a call, it sometimes happens that you may often forget some useful information said on a phone call. Using cloud telephony, it provides useful and accurate information on every call and SMS sent or received. This data being provided is very accurate to which company can make out issues like call volumes, the time taken while in the call, the number of missed call etc. Cloud telephony makes it easy for you to greet your customers in a friendly way which makes it easy to be available to your customers according to the seasons, special time, and any special days. The fancy voice behind the call makes it even more appealing to your customers which add an advantage to your brand. Even the calls that are assured privacy that the customers and executives can talk to each other without knowing each other’s numbers. Being in a business, you want to rise and scale up in the market and this does not happen without happy customers. Switching to cloud telephony will make it easy for you to reach out your plans and aim to expand your business. Whenever you make a call, it will not cost you much and allow you to add, delete, modify a number of users easily with just a few clicks of the mouse. You are able to reach out a number of people and will have the freedom to make more calls. No matter what company you are in, you cannot survive without technology. Cloud telephony in a business is definitely a boon and can act as a huge game changer for your business. With the above points discussed, it definitely makes it necessary for to have cloud telephony for your business. From everything going to technology, from smartphones and tablets to mobile application and cloud telephony your business must have it all to sustain in the market.